Content contributed and originally ran on Lacuna Loft’s website at: https://lacunaloft.org/this-should-never-happen/. A former student of mine posted this link to a GoFundMe page a young woman set up before committing suicide. The subtext of her suicide note is that she didn’t feel worth the cost of the treatment necessary to keep her alive, and she didn’t want to be a financial burden to her family any longer. This broke my heart because it shouldn’t happen anywhere, let alone in the richest country in the world. A young, intelligent woman with a heart yearning to help others should feel certain her life is worth more than $20,000. 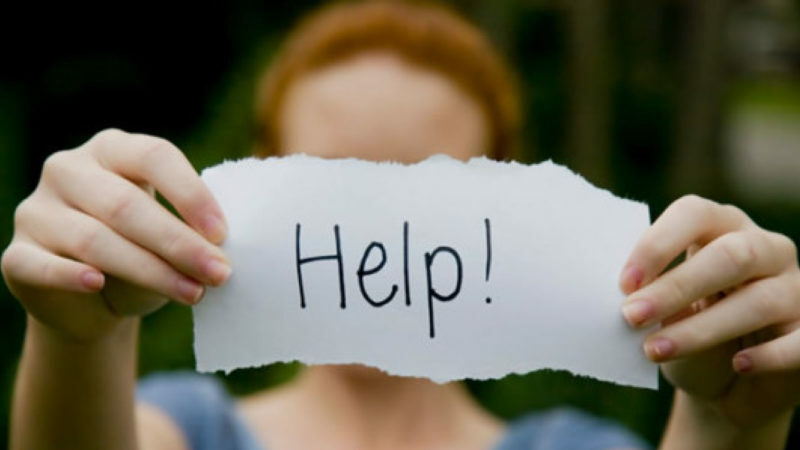 She shouldn’t feel like she has become a burden to her family because she has student loan debt and debt from seeking treatment for her mental health struggle. She should have access to healthcare that keeps her alive without making her long for death. People who suffer from chronic and long-term illnesses will also be familiar with this feeling. The guilt of feeling “not healthy enough” to function at a normal level is already difficult enough to handle without the addition of the guilt from being the cause of financial hardship. This young woman was not the first person in the United States to commit suicide because of the high cost of medical bills, but I pray she will be the last. Her death reminded me of an article I read about an American woman named Edith Speed. Edith was diagnosed with breast cancer, just like me, but because she was treated for it here in the United States instead of in the United Kingdom, where I was lucky enough to be treated, she racked up a staggering amount of debt, even selling her car to try and keep up with the payments. 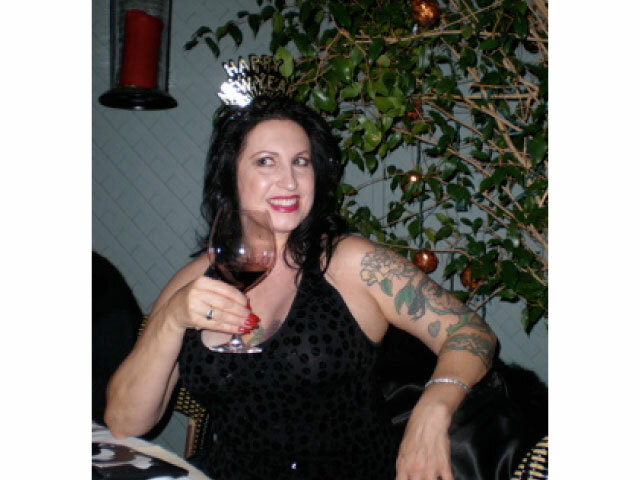 Two years after finishing her first round of treatment, the cancer came back, and rather than go through treatment and rack up more debt, she took her own life because she “didn’t have another car to sell”. Not too long ago, I went to visit some former teacher colleagues of mine, and I was explaining to them why I thought the NHS was so great in the United Kingdom. I cited as one of my reasons that it keeps people from becoming financial burdens to their families due to the costs of their medical expenses, and this guy, who was not a former colleague of mine, just rolled his eyes and scoffed. His reaction might have been from the viewpoint that if you love someone you should never view caring for them as a burden, or perhaps he felt having an NHS (National Health Service) takes the responsibility of providing for the expense of someone’s treatment from families and gives it to the tax payers, either way, I know if he had grown up in a country where they have this kind of system, he would not feel that way because I have lived in three different countries (the Republic of South Korea, Denmark, and the United Kingdom) with publicly funded healthcare services and it feels very, very right. I write in detail about my experiences with these different healthcare systems in my book 30ish. 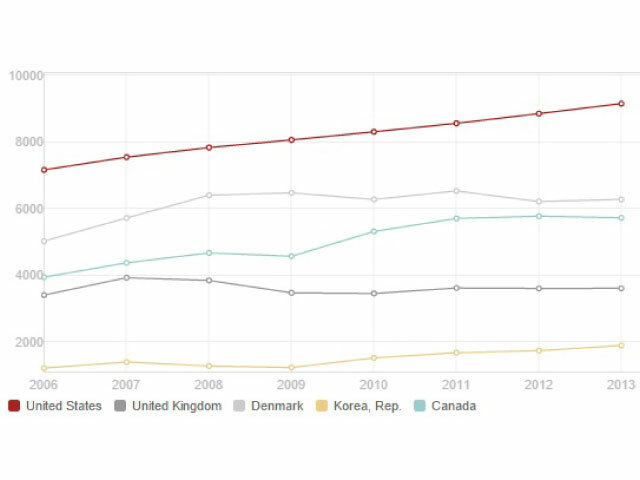 The above chart shows what the average yearly healthcare expenditure per person is (in US$) in the United States, the United Kingdom, Canada, Denmark, and the Democratic Republic of South Korea. As you can clearly see, Americans pay significantly more on average than countries that fund their healthcare publicly, according to data provided by the World Bank’s website. 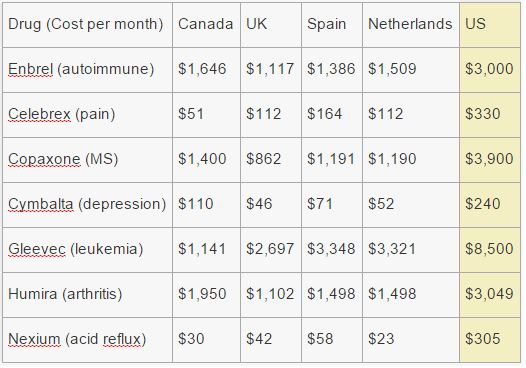 Here, the above chart shows the cost of the same drugs in seven different countries. Once again, you will see clearly how Americans are paying significantly more. This data is based on the International Federation of Health Plans 2013 Comparative Price Report. The reason why Americans pay more is simple—corporate greed. When you have publicly funded healthcare the main purpose of the healthcare system becomes to provide quality, affordable healthcare to as many people as possible. When you have a lot of different, corporate insurance providers, by design, their main function is to make a profit. If they can’t make a profit or enough of a profit, then they will raise their prices to increase their profit margins. It’s despicable and completely uncivilized. America should not ransom life-saving healthcare services because corporations need to make money. When people are taking their own lives because they don’t want to burden their families with medical bills, it becomes perfectly clear the cost of our healthcare system in America is way too high. Lacuna Loft does not advocate for or against a social healthcare system. We seek to provide information and personal experiences from our contributors to the wider, Lacuna loft audience. Interested in becoming part of the hospital and insurance practices conversation in the United States? Check out PatientsRising.org. Are you a young adult cancer survivor? Check out The SamFund for financial help.